This post is so good it needs a warning label. Grab a hot drink, settle in, and prepare to be inspired! WARNING: This post contains some serious drool-worthy, eye candy, scrumdiddlyumptiousness. Side effects might include racing heart, heavy breathing, dilated pupils, uncontrollable utterances of “oh my gosh,” and inability to close one’s mouth. Reader should proceed with caution and enjoy every minute of it! I have posted about my love for my favorite builder Stephen Alexander Homes and Neighborhoods here and here. I have also posted about my favorite Norfolk, VA neighborhood, East Beach,here. When Stephen let me know that the two of them were commingling for an annual model home extravaganza called Homearama, I couldn’t resist making the trip down to see it for myself! 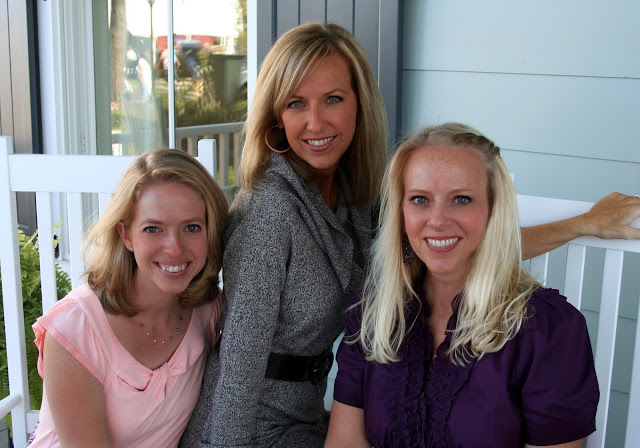 I brought my mom and two sisters to the event with me, and we had so much fun! 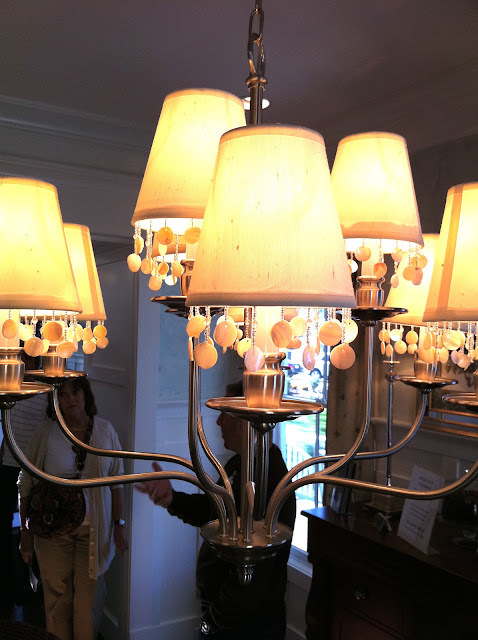 Although there were 9 homes available to tour, we spent most of our time in Stephen’s Blue River Cottage. 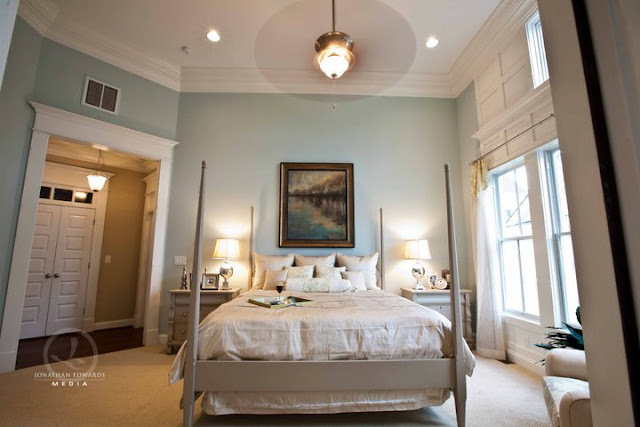 One of the things I love about a Stephen Alexander home is the smart usage of every square foot. 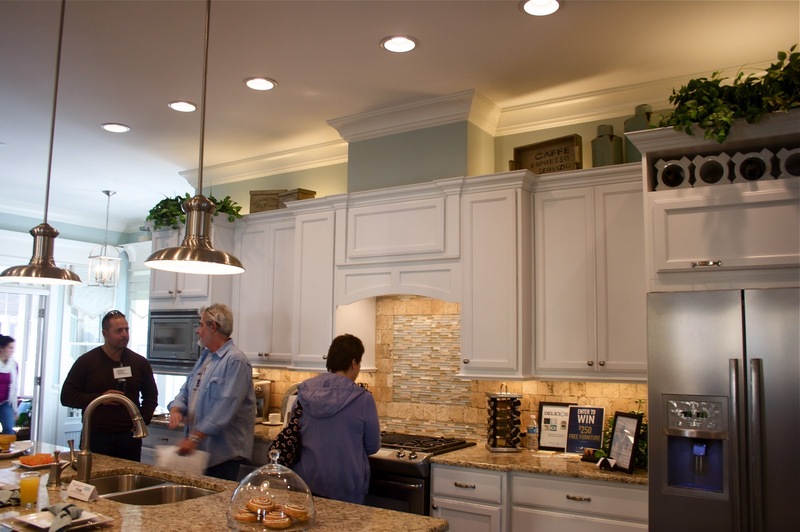 Take a look at the floor plan to see how well thought out this Little Big House really is. Although it is only 2,472 square feet (which is actually smaller than my current home) it feels every bit as lush and spacious as a McMansion. We begin our tour with a prom-worthy staircase. 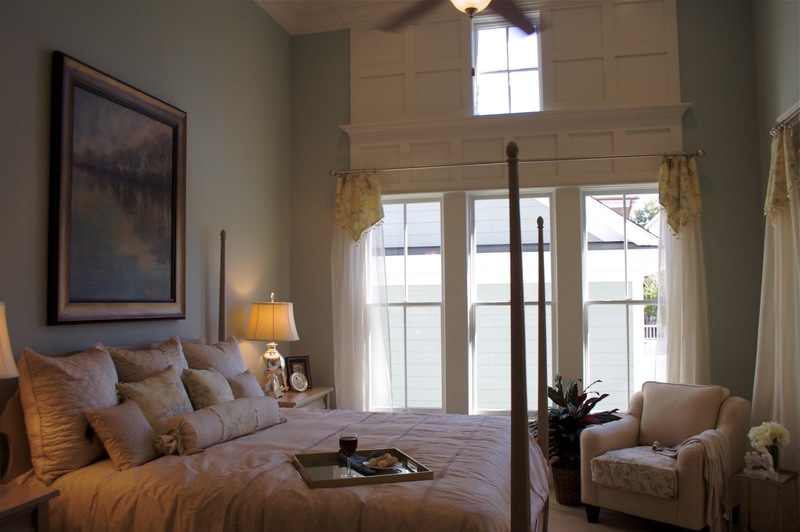 Notice the board and batten and gorgeous window moldings. 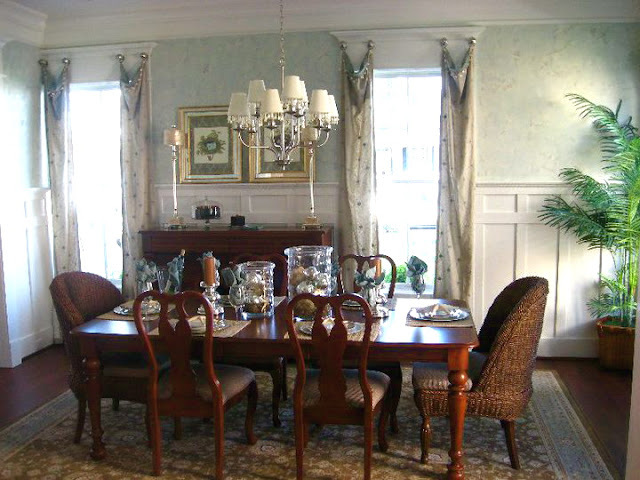 All of Stephen’s homes are dripping with molding and architectural delights. The wall color is Sherwin Williams Urban Putty. 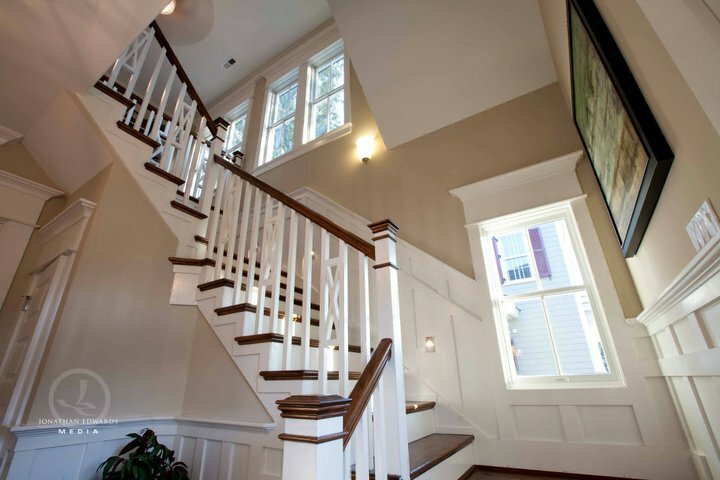 Underneath the staircase is hidden the adorable half bath pictured below. 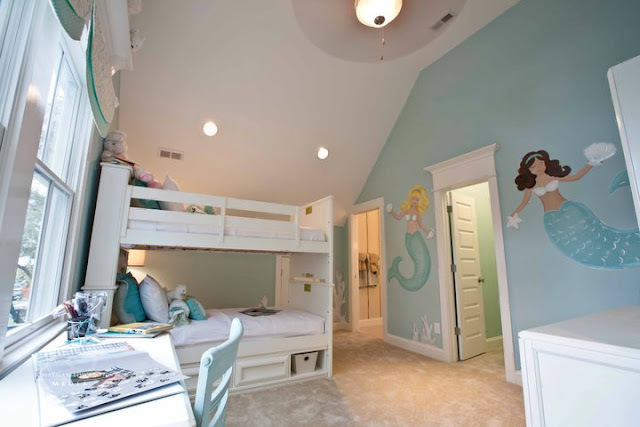 The walls are painted a light blue with overlaying white battens. The money plant and silver polka-dotted curtain mimic the feel of capiz shells which are used throughout the home. Let’s take a closer look at the window (mis)treatment, shall we? The mistreatments in this home would seriously make Nester proud! This piece of fabric is just a scrap (not at all sewn–I checked) and swagged in place using three ring clips! Perfection. 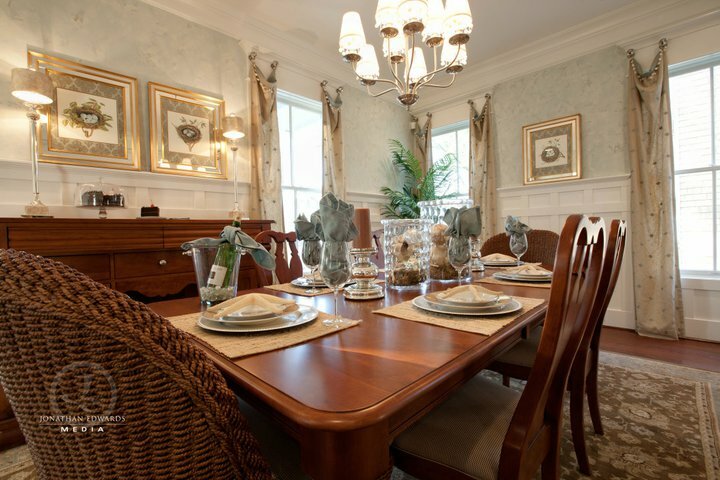 Across from the entryway is the formal dining room. The walls are done in a faux painting technique using the colors of the beach. I’m not typically a fan of faux paint treatments, but I loved the look of these walls. 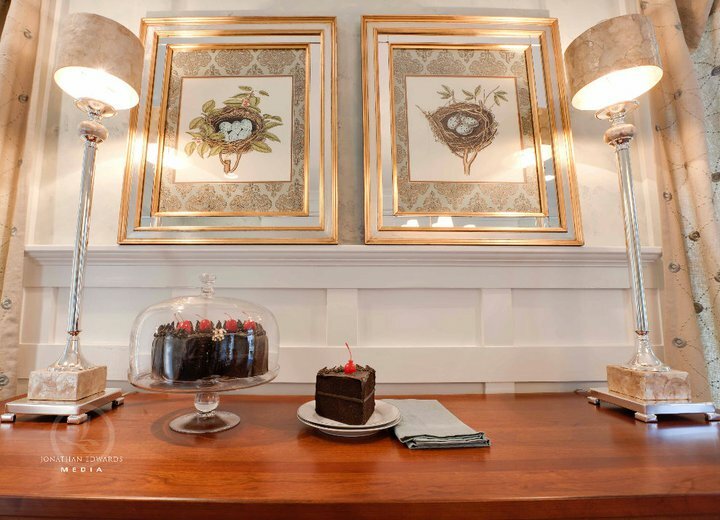 The faux paint introduced a fabulous depth and additional texture to the room. The chandy shades were all trimmed in a capiz shell trim which was also used at the top of the window treatments. I am loving these nest prints with damask matting and I know you are too! 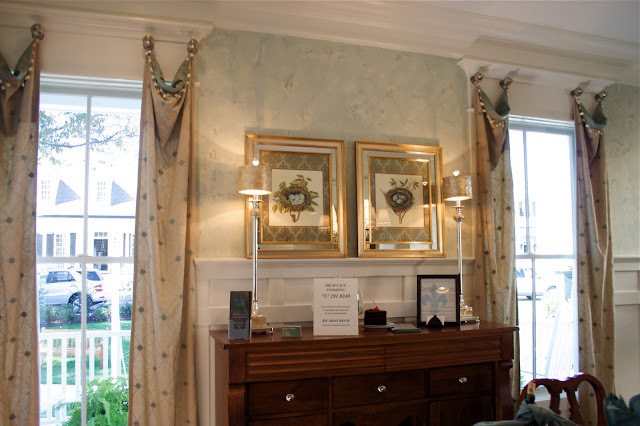 Also love how the marbleized copper of the buffet lampshades compliment the colors of the drapes and the fresco walls. Here is the view from the dining room looking into the living room and kitchen. Are you noticing all of that trimwork? 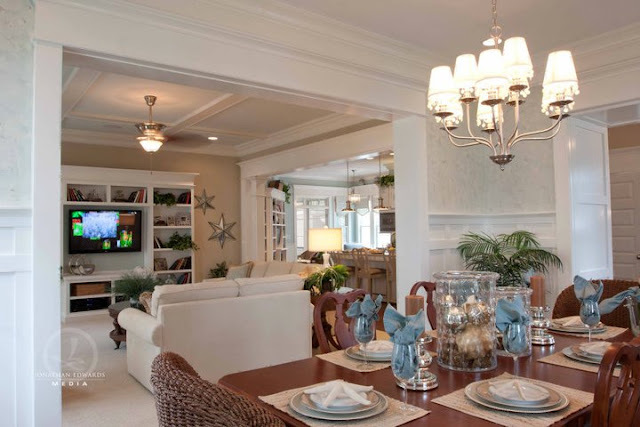 Do you see the gorgeous ceiling in the living room? LOVE! I couldn’t resist taking a pic of these beauties below. Holla A2Z!!! The beadboard backed built-in entertainment unit was perfection. 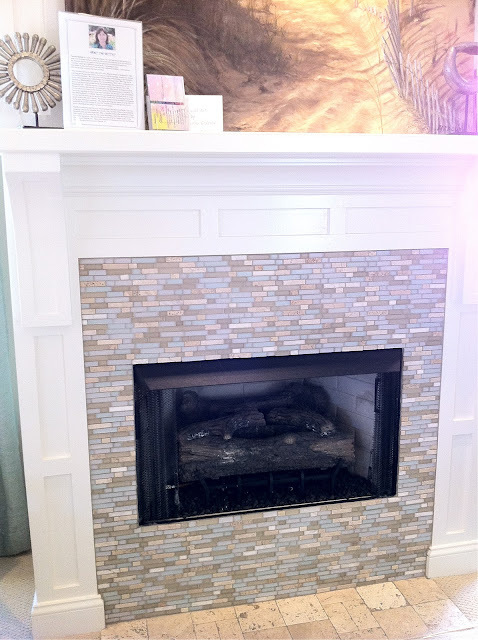 Flanked by two windows in the living room sat this beauty-of-a-mantel. Yes, I think I could create some great mantelscapes here for my mantel parties. 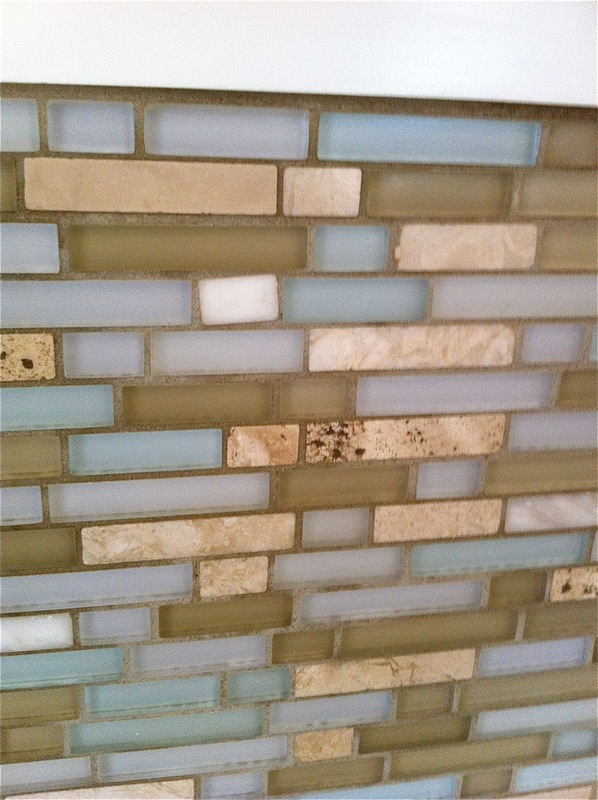 All of those gorgeous glass tiles have me swooning. Don’t worry, we’ll get to see them again in different parts of the home! From the living room, we walk into the kitchen. The paint in here is Rainwashed by Sherwin Williams. And there are those gorgeous tiles again! Don’t tell Hubs because I am in LOVE. These tiles are gorg. Sigh. If I could hug this kitchen, I would. So let’s examine the built-in library a bit closer before this gets weird. 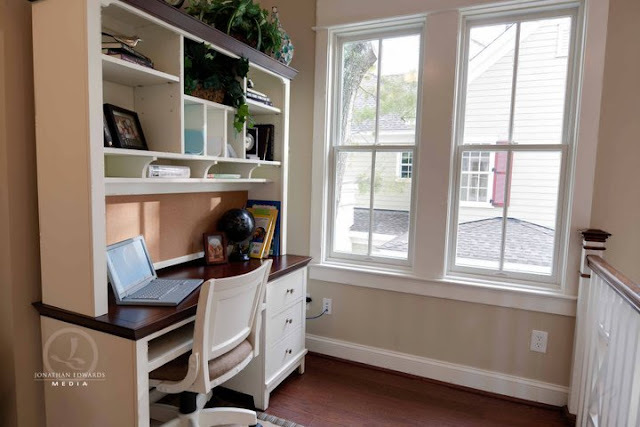 Once again, we have beadboard backed built-in bookshelves (say that 10x’s! ), and a new take on the breakfast nook. 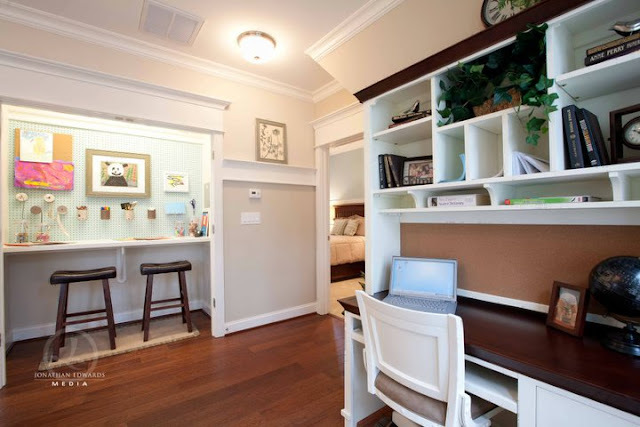 There is flatscreen in one of the bookshelf nooks so you can catch up on your CNN or Fox News while enjoying your java. The screened-in backporch (which I couldn’t get a proper pic of) is what you see through the doorway. The hardwoods are wide planked hand-scraped boards. Note the decorative glass canisters filled with beans on the shelf? 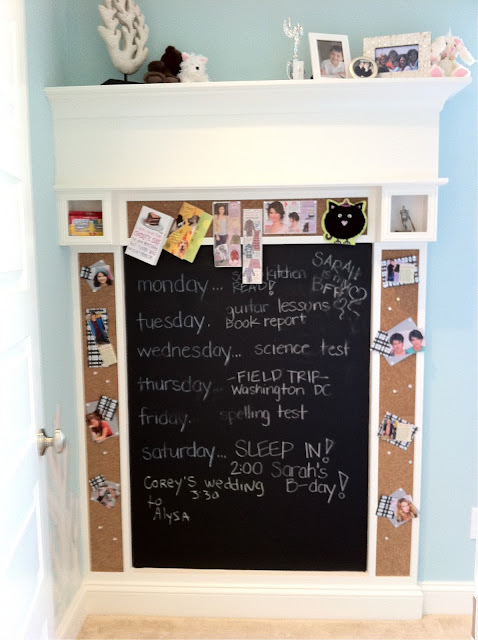 I agree, they would look even cuter with chalkboard paint labels but I knew you’d appreciate them. 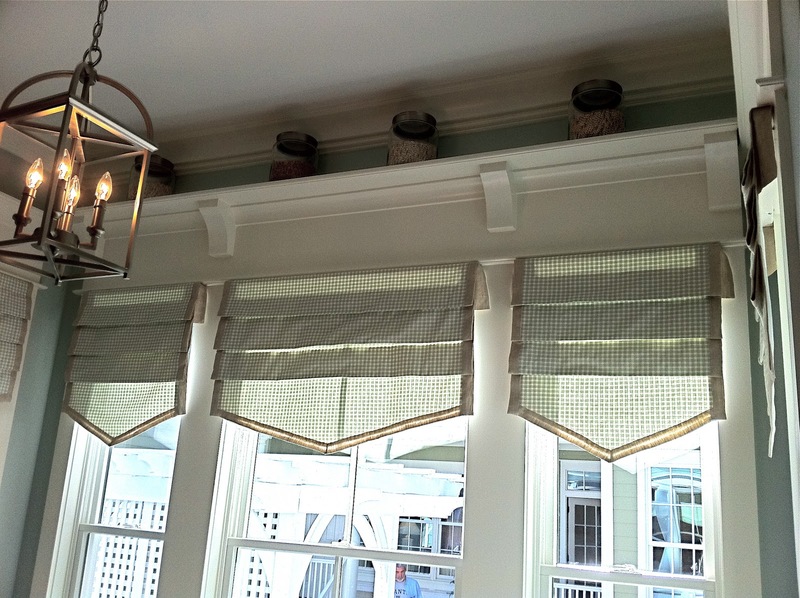 I also knew you’d appreciate these jute trimmed curtains and lantern chandy. In the back, there is a small grass yard to my left, and this cute pergola designed and built by Christopher’s Woodworks. We actually met Christopherand he was adorable and witty. We wanted to adopt him into our family! He seriously had chemistry with us at “hello” and rolled with our teasing with grace (which not all men are able to do. Let’s just say that the women in my fam are outspoken and a bit sassy.) To boot, he’s a talented designer and made an excellent case as to why all of us needed pergolas in our lives! If you live in the Hampton Roads area, check him out. 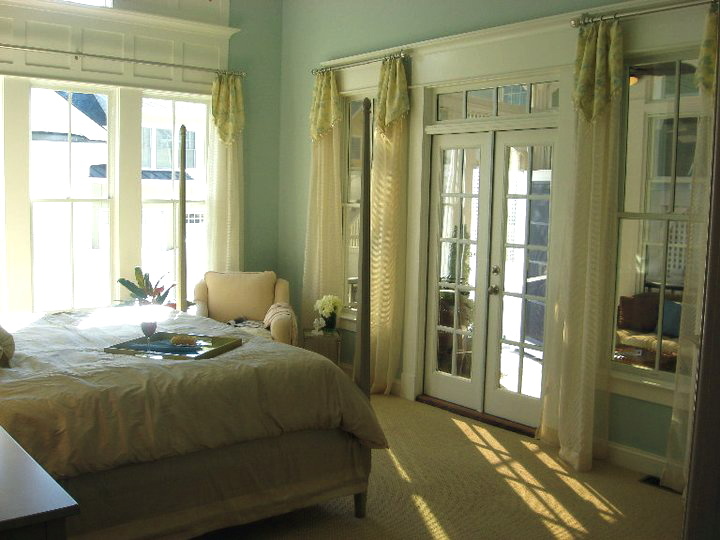 Back inside we can walk through the porch into the master suite. Don’t you love that little window up there surrounded by all that woodwork? It adds glorious drama while also adding more light to this 14-foot ceilinged room. The small hallway houses the laundry room and leads to the master bath and closet. I love how this “x” on the ceiling incorporates the “x’s” between the staircase spindles! Oh be-still-my-detail-oriented heart! 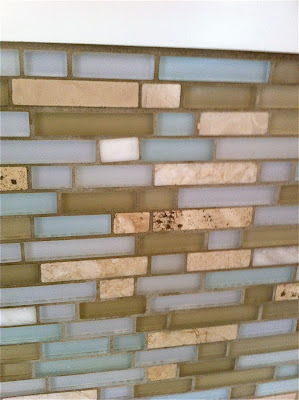 It’s hard to see in this pic, but those fantastic glass tiles create a border in the shower. 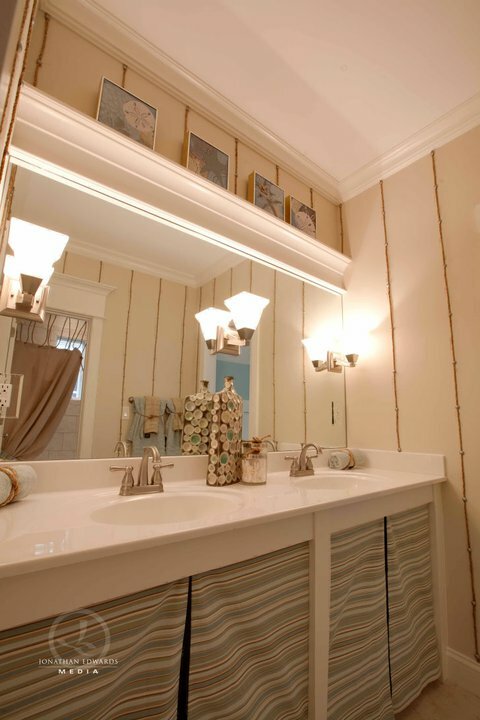 Notice the framed out mirror and mini-transom window above the water closet. Also take note of the light fixture coming out of the large glass mirror. 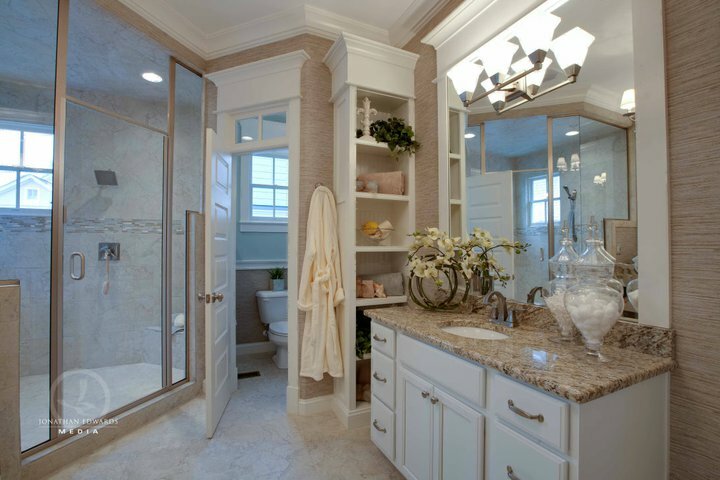 And one more thing to ogle before we leave the bathroom, the grasscloth wallpaper in here is faux and fabulous! 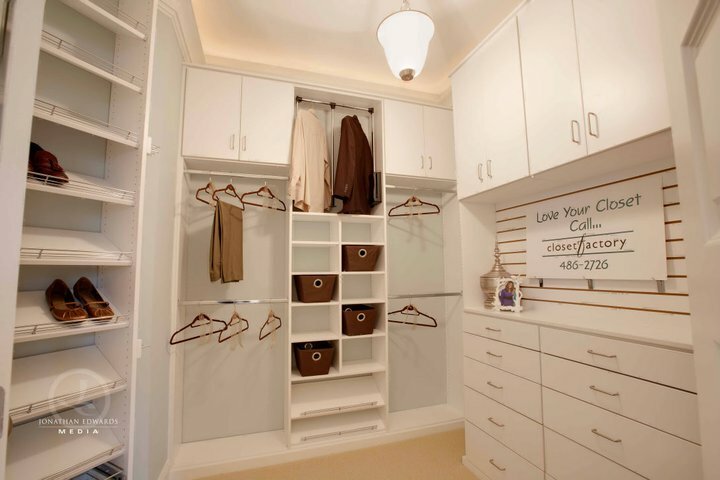 Hello gorgeous closet! Enough said. 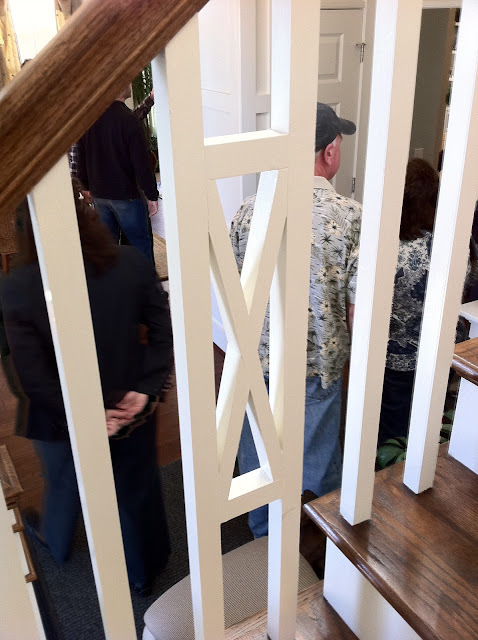 Okay, let’s trek upstairs and pet those lovely newel posts along our way. Love the little nautical lights built into the board and batten. 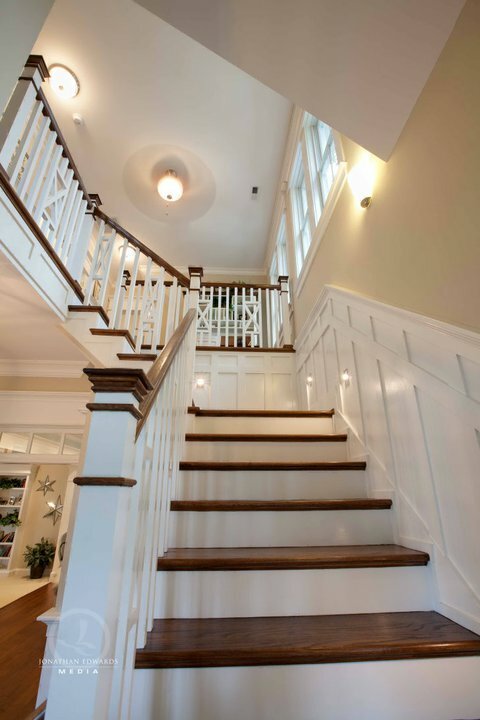 Okay staircase, now you’re just showing off! We get it. You’re gorgeous! At the top of the staircase we hit the landing and find an office/crafting center! Brilliant use of space! The closet can also work as an upstairs laundry closet but seriously, you can do your laundry downstairs kiddos. Let’s save this space for some crafty goodness! The framed peg board reminds me of my own! 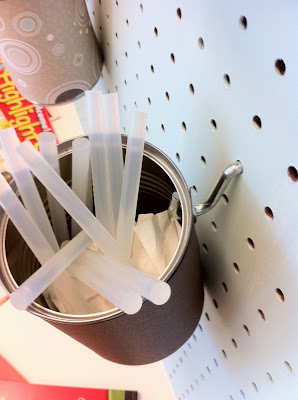 And here is a tip for you: Cover soup cans in scrapbook paper, drill a hole in the back, and hang with pegboard hooks. Voila! 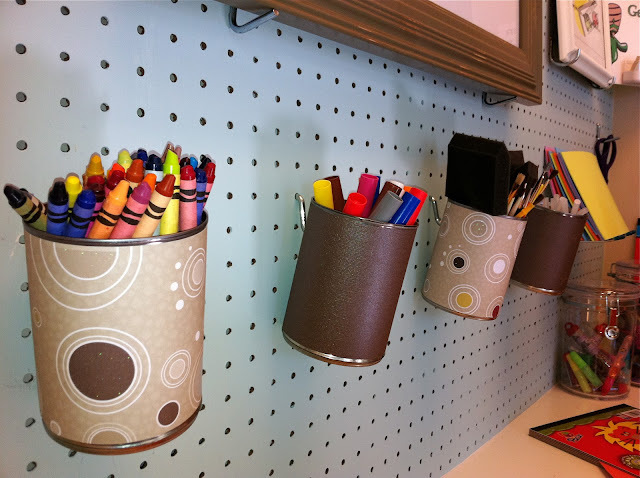 Instant cute craft storage on-the-cheap! Now, let’s head into the beachy boy bedroom. 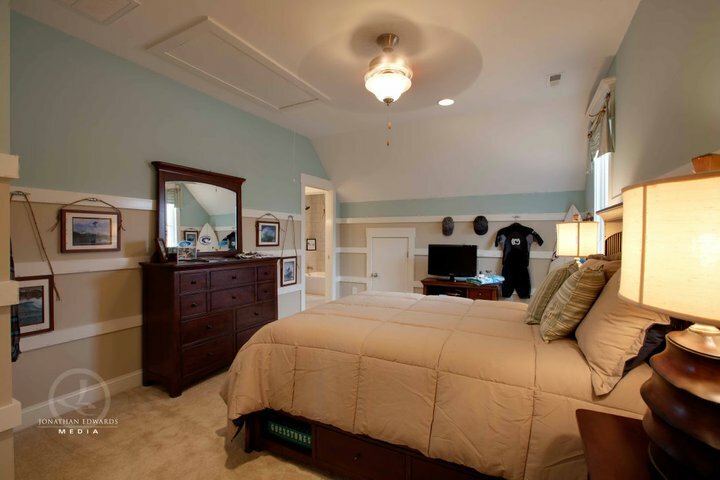 Boat cleats were used as bedroom picture hooks and in place of curtain rods. This mistreatment could easily be made using fabric napkins and jute rope! So simple yet so cute. The horizontal use of boards is a new look for me. 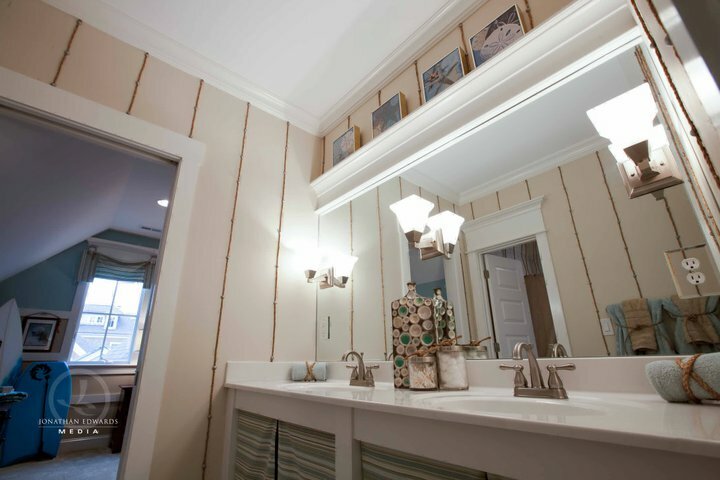 A similar look could be created by just painting stripes on the wall. 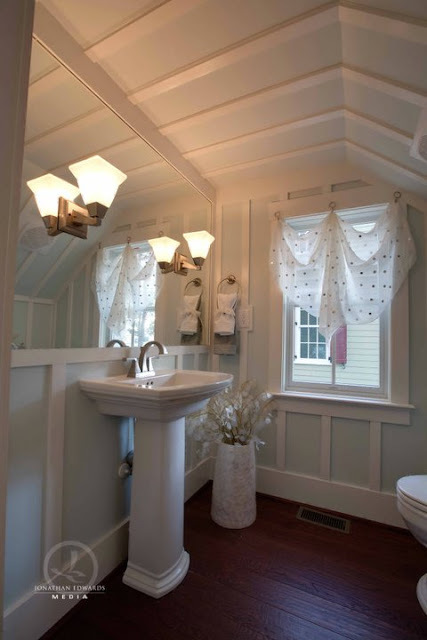 Next, we enter the Jack and Jill bathroom which has some fun design elements that some of you might want to copy! The first is the idea of taking rope and running it down the walls and holding it in place with upholstery tacks. 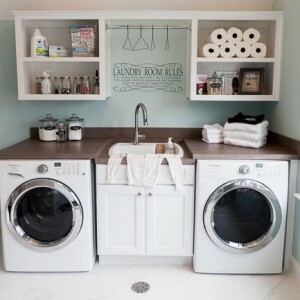 The second idea is to ditch your bathroom cabinet doors and tack some material in place. On the other side of the bathroom is the little girls’ room which was made by the adorable mermaid mural! Another easy window treatment for you to analyze…. 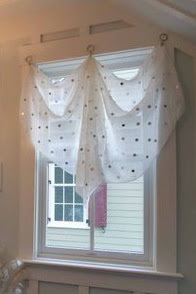 And another cute little window focal point like we saw in the master suite! Exiting the girls’ bedroom we see this life-sized message center that has “blogland” written all over it, no? Okay, so literally it has the days of the week, but you know what I mean. We’ve been making these babies for the past two years! So glad to see a custom one designed and featured in this home. I also love how it is built at kiddo level. Smart. And here I am standing beside one of the geniuses responsible for all of this gloriousness! This is Stephen Quick the “Stephen” in Stephen Alexander Homes. It was fun to finally meet him after being such a fan of his work. And now, I have a feeling he might just have a few more fans to add to his list! 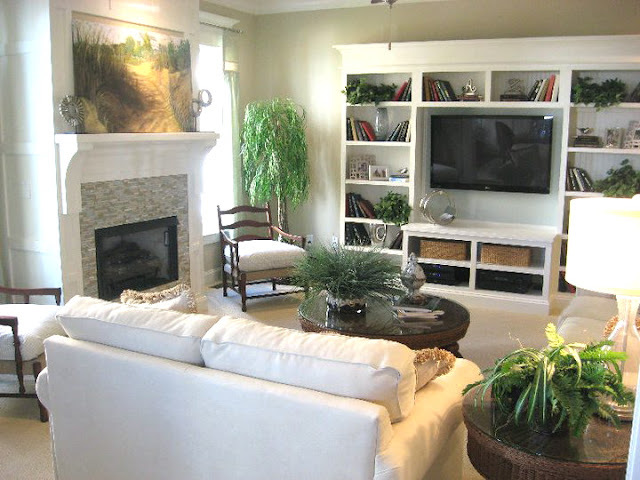 You can see more of his homes here and can become a facebook fan of his homes here. And I know you all are just as nosey as I am and are dying to know the price of this home. Well, we all know that real estate is relative to location, location, location. 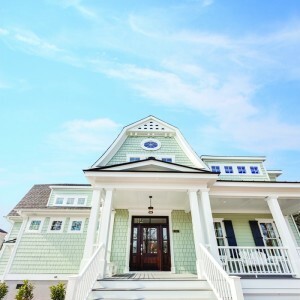 This home rests a block from the beach in a coastal neighborhood which boasts multi-million dollar homes. 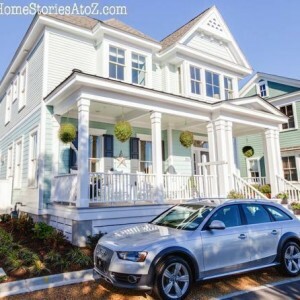 This model is a steal at $550,000 with an additional lot purchase price of $100,000…and it is of course already sold! There is nothing little about this Little Big House except for the price-tag. 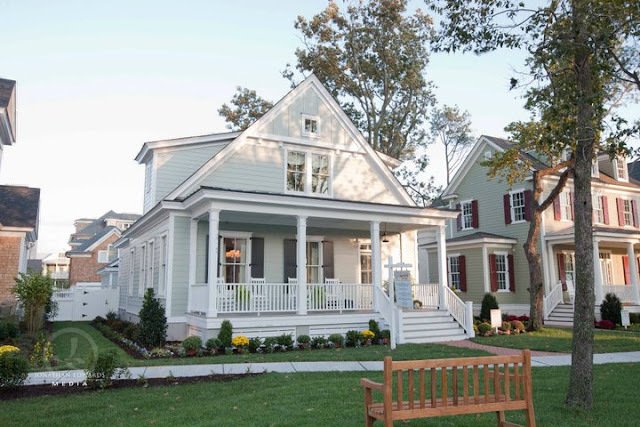 I’m thrilled to see a builder building smaller homes which boast mansion-worthy charm! Watermarked photos are used with permission and are the copyrighted work of Jonathan Edwards Media. Credited photos are property of Goodwin Interiors. Non-watermarked pics are mine (or my sisters’ taken with iPhone4). 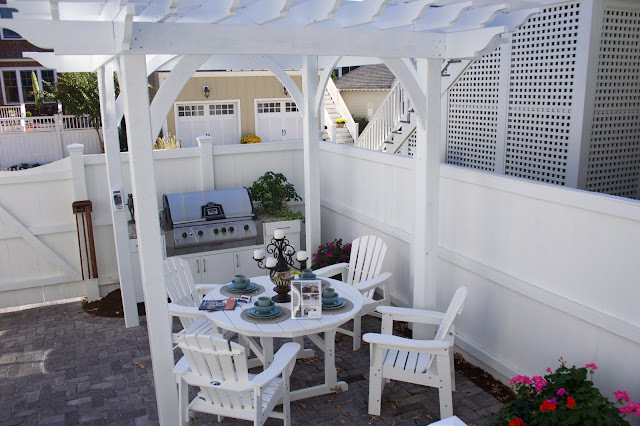 Beautiful backyard pergola by Christopher’s Woodworks. Architecture by Stephen Alexander Homes and Retnauer Design Associates. 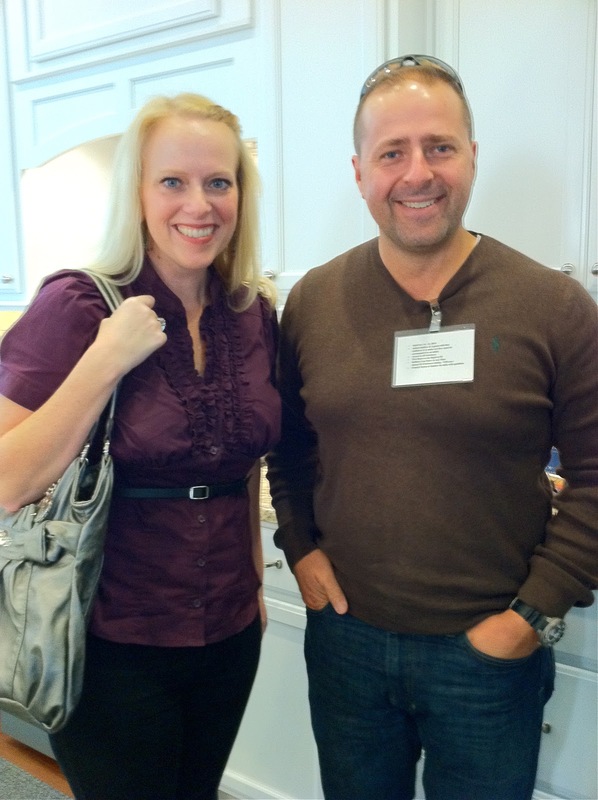 Thank you Stephen for inviting me down and allowing me to show off your work to my readers! I know they will love it as much as I do! Love the tiles, what company made them? Sorry, I don’t have the sources for this home. I love it! It's nice to see that level of detail in a modern home. Great story-thanks for sharing! Love it! 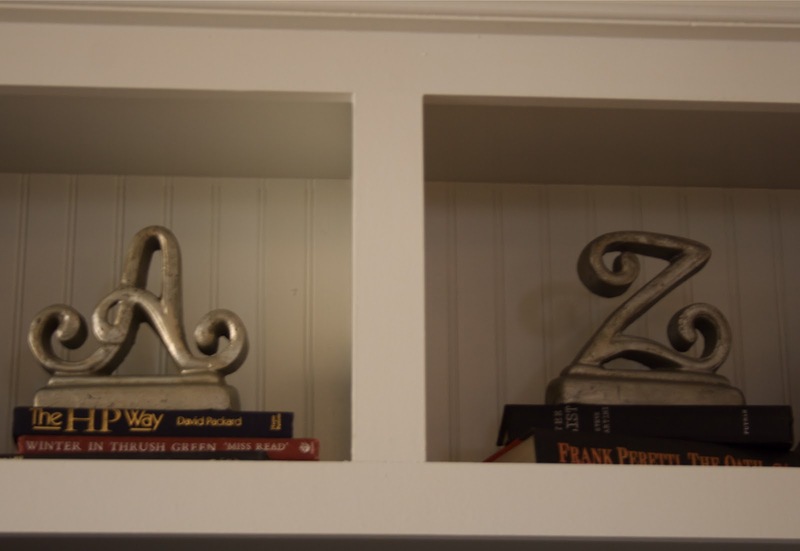 I love white woodwork and moulding AND we are having a library built into our old home…thanks for sharing. This was wonderful! OMG Beth! Thanks for sharing! I used to love going into model homes for design inspiration, that house was absolutely breathtaking! My heart skipped a beat! 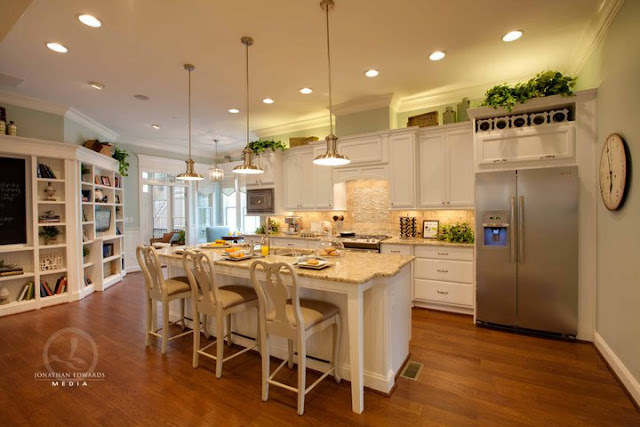 Beautiful home…full of inspiration. Two words – Gor.Geous! Thanks for sharing! Seriously seriously beautiful and incredibly creative!!!! LUV IT! OK. . . Please promise me that next time you're in Hampton Roads, you'll stop by for coffee. I'm actually surprised we didn't run into each other at Homerama! Hope you had a fun time with your family. 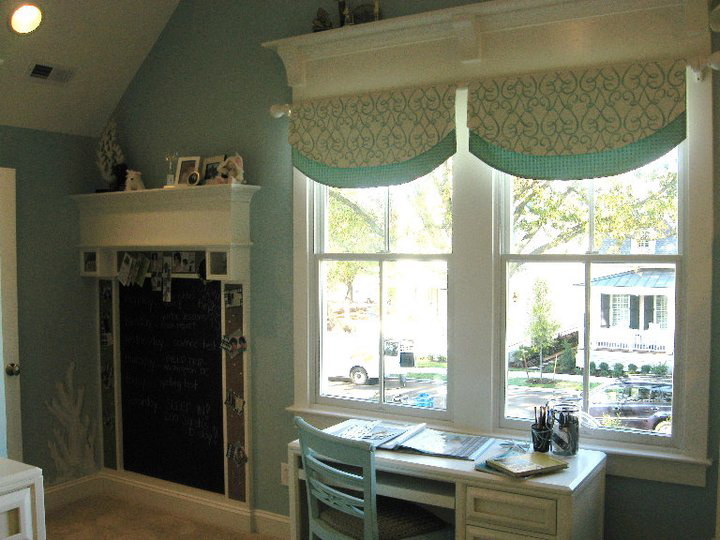 I am so glad you posted this because we have antique window trim that is very similar, and sometimes I'm at a loss for treating the windows because I don't want to cover it. There were some great ideas here!!! WOW!!!!!!!!!!!!! Amazing what you can get outside of Cali! Just gorgeous! I just have one word, Beth…stunning! Wow, wow…home lust. 🙂 Those built in bookcases are PERFECT. Every photo was amazing. Where can I get one of these? Yikes, Beautiful! Gorgeous! I love everything! Thanks for sharing. Lucky you seeing it in person. Hello gorgeous! I saved almost all these photos to show my boyfriend! I loveeee this house so beautiful! We're doing the exact same backsplash on our kitchen. What a gorgeous home! I love it! When I was a teenager, there used to be a Homerama event nearby. I loved it! They only did it for 2 years and it never came back. Thanks for taking the time and effort to post such a thorough tour. So fun! Beautiful home. 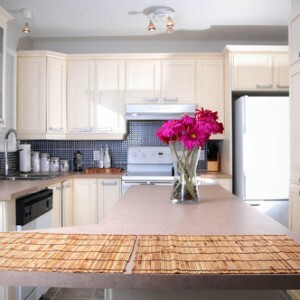 I agree that price is fantastic for the quality and great location a block from the beach. Just dreamy! Oh, Beth, that is such a gorgeous house! I was drooling all the way. You got some great pics, wow, loved it all. Gorgeous!! Okay. You were so right. What a beautiful home! However, I beg to differ with the idea of the house being "little". Our home is 1,540 sq. ft., so this is actually quite large to me. 😉 It's all relative though, right?! Ah, to dream of how 5 of us could spread out in an extra 900 sq. ft. tee hee! 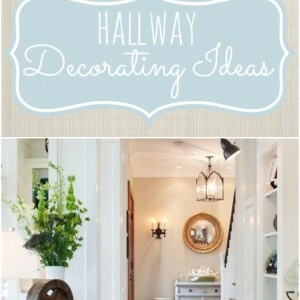 Now, off to bookmark some of these great ideas! Thanks for sharing, Beth. What fun you all must have had! Okay, I'm in love with our own home. But, if we ever have to move, I want to move to that house!!! Love all the cute design ideas. Love it all! The details are amazing! Thanks for sharing!!! Details! Amazing details. Thanks for showing and inspiring. 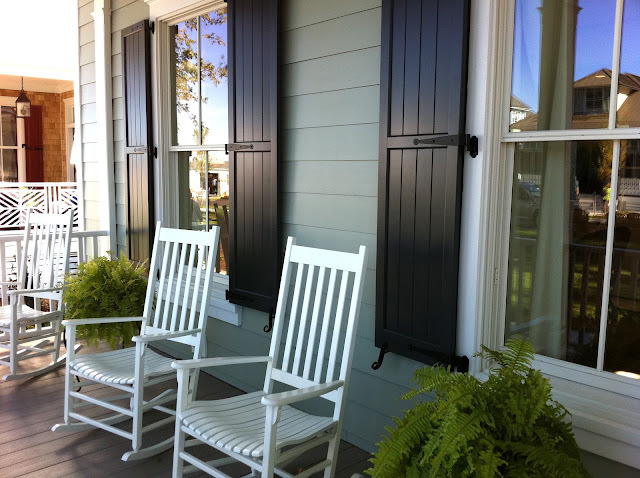 Now I know I DO want board and batten somewhere! Love this! 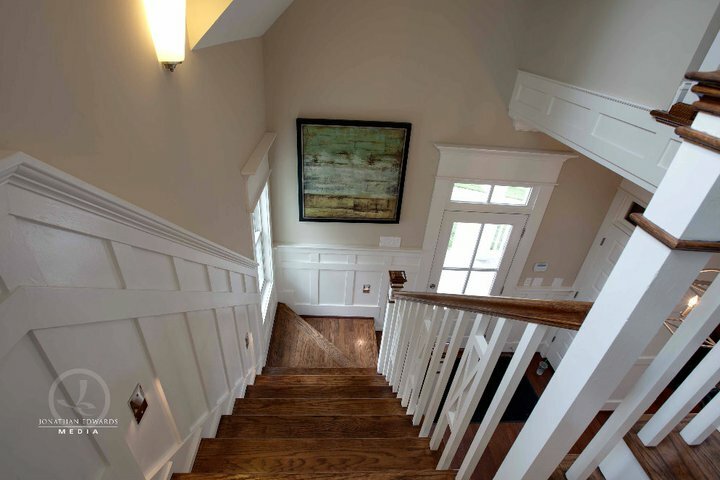 My BIL is a contractor, but his specialty is finish carpentry and a lot of the details and trim reminded me of homes he's done — that's my very favorite part of a home. Thanks for sharing!! Lord. Have. Mercy! That was some incredible eye candy!! That is a post full of quality inspiration:) Thank you for sharing!! Wait… what??? I just passed out at the gloriousness of this house. I am trying to pick myself up off the floor! Oh, how lovely!!!!!! Can you say, copy, copy, copy?!? Thanks for sharing!!! Love it! You were right ~ serious eye candy here! This house is about the size I'm looking to downsize too, except for the stairs and it having a second story. I'd like to downsize to a one floor home. This is just gorgeous though and I thought I could pick out a favorite element, but I can't. I used to live in VA Beach and I loved Homearama! This is such a pretty house. I am bookmarking it. I am planning on adding woodwork like that on my new house. I hope it turns out somewhat like that! Thanks for posting!! All I can say is BEAUTIFUL!!! I'm heading back to your post (awesome pictures btw) and dream a little more….thanks for sharing! I think I'm going to have to learn how to use my hub's table saw! I MUST HAVE MOLDING…EVERYWHERE!!!! 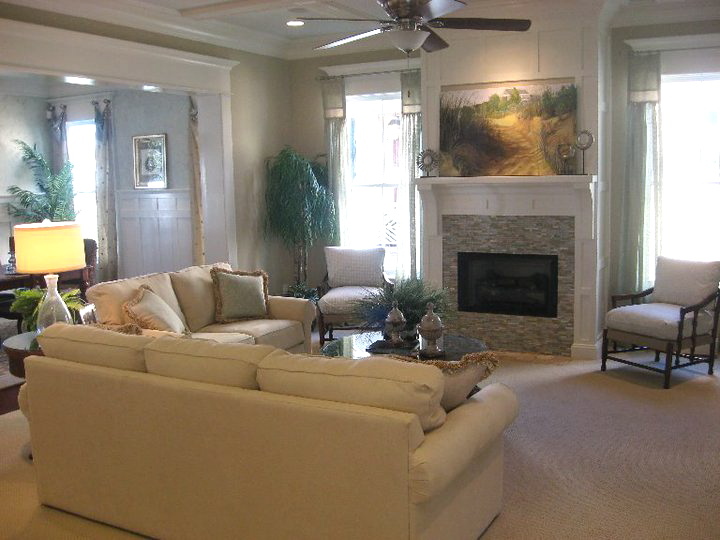 Ahhhh….going to my happy place now….dreaming of living in a Stephen Alexander home! Thanks for taking me with you on the Homearama tour sissy-poo. Meeting Stephen was icing on the cake! Love it! Had to share on my FB page! Great tour!!! Without a doubt, my favorite house tour of all time. I could barely make it through the entire post because I couldn't stop looking at all the details in the pictures. I'm with Janell–perhaps my dream home. It doesn't have to be large, but it does have to have some majorly beautiful woodwork. I just can't get over it. Off to print these out. P.S. Aside from the Rainwashed, did they have a listing of other paint colors used throughout the home?